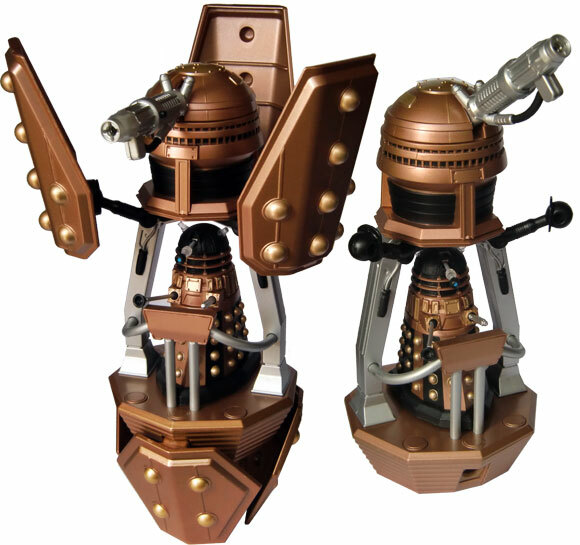 my dalek that came in this set had one of the ‘spheres’ on the skirt missing (where the dalek screws together) I have emailed character twice and heard nothing, should call them? any suggestions anyone? Would get it if the panels could close but might get the stealth variant as it looks more like the ones from the actual show and less like something off of deviant art. I got this set today from Forbidden Planet. Getting this and 2 of the new wave 3 figures! Dont know what ones to get depends what Argos has. 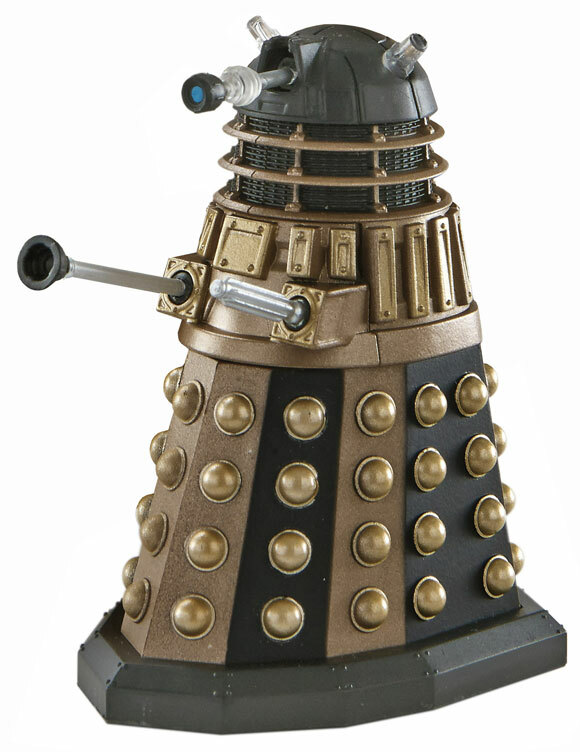 I hope they dont only have Asylum Dalek. That figure is horrible. These are in Forbidden Planet! got one today. Not wave 3 though. Im buying the stealth version! I got this today, and it’s fantastic! I love this set!!! 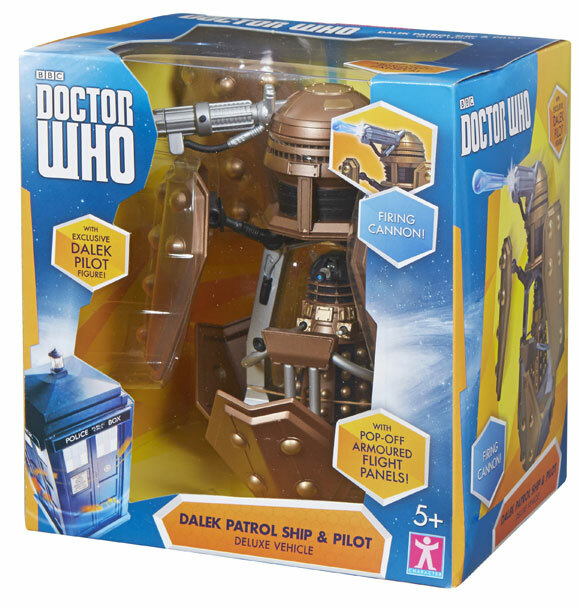 It makes me glad they moved the figures to the 3″ scale! I would highly recommend!!! 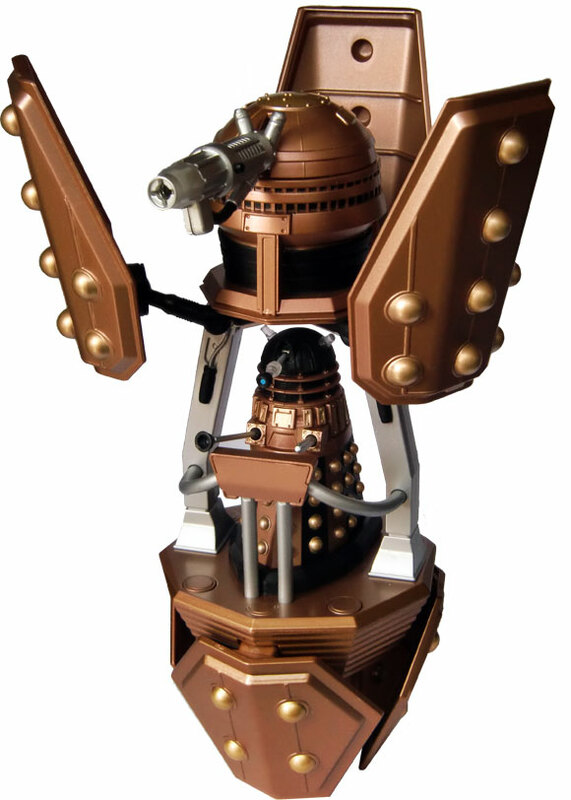 I picked mine up today it does look good with all my other Daleks. They had loads in Argos today, but I didn’t get one as I want to save my money for the stealth variant. 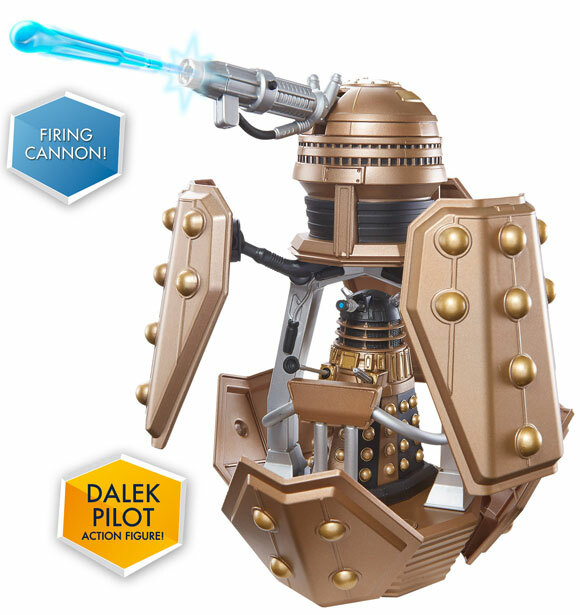 dose anyone have the argos code for the dalek parol ship?. 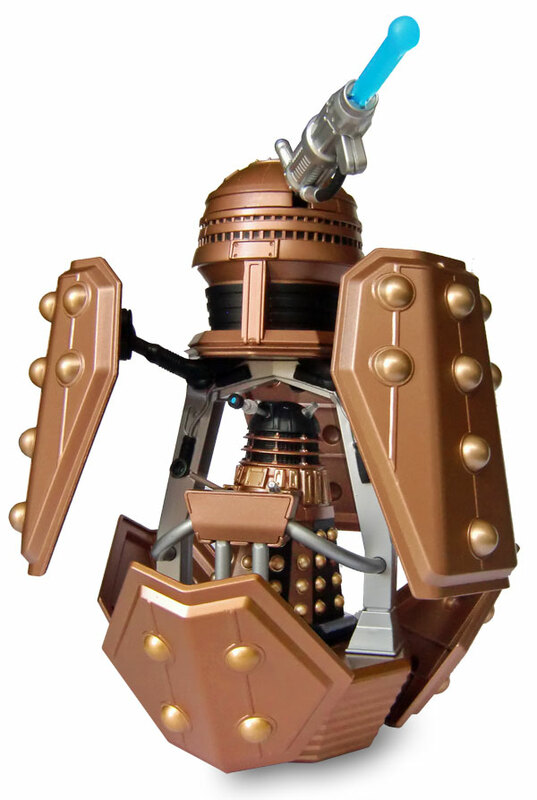 Take of the bottom panels and the bit the pilot stands on and you’ve the makings of a cool special weapons dalek. bit random but how tall is it in inches? I love that colour scheme! 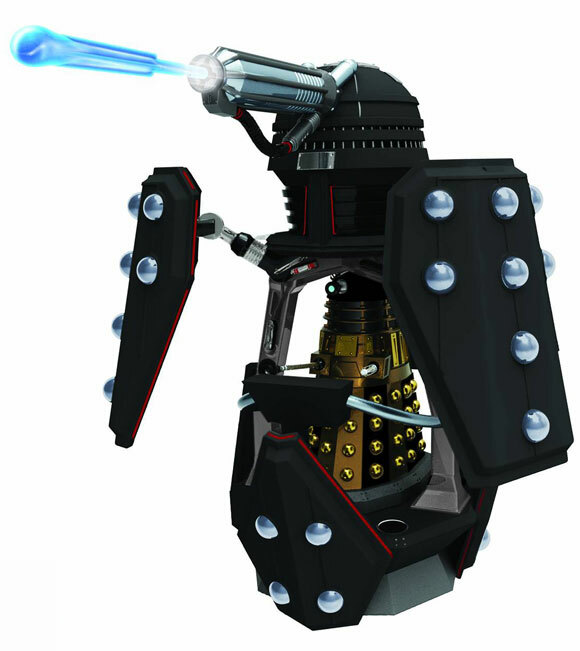 It’s a shame it was never used in the show and it would be really cool if they released a more accurate version! 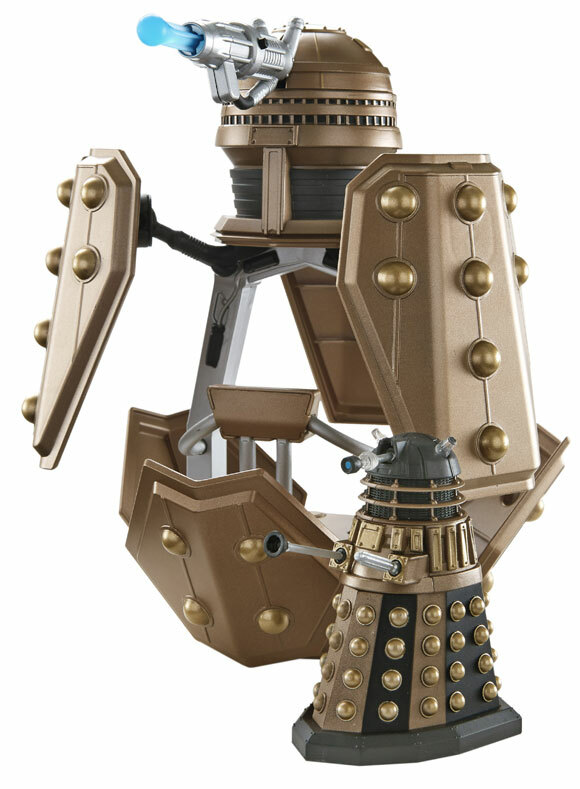 I still say you should be able to close the panels to make it look like a big dalek. booboo when will the stealth variant be availbale to buy? 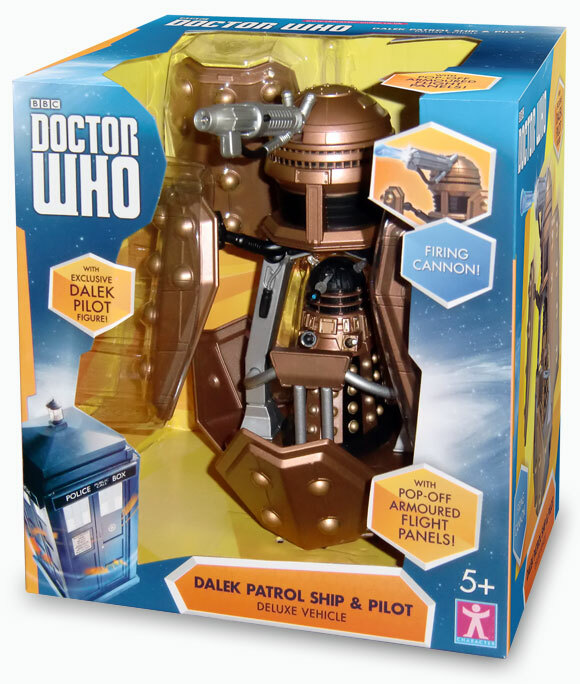 I am saving my money for the 50th set that comes out in Septemeber. 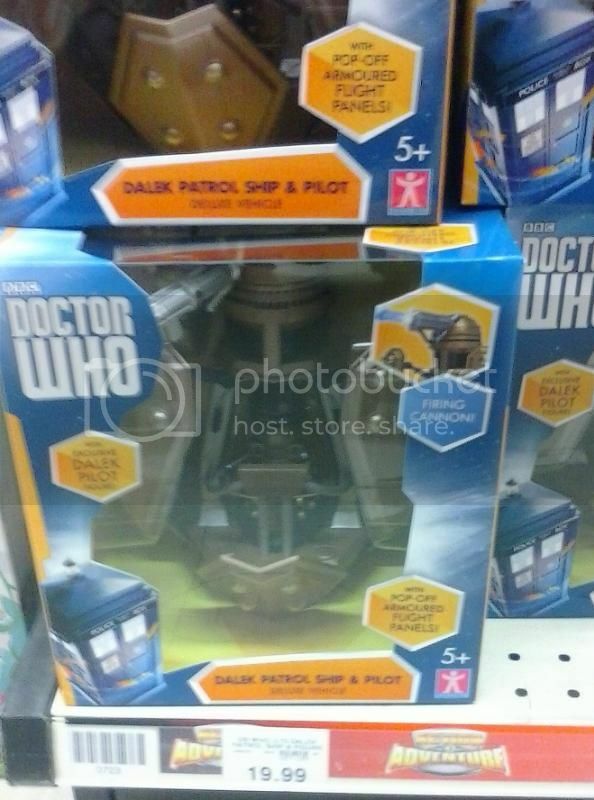 Its easy to tell as the set have red plates and so does wave 3. So they could be released at the same time.